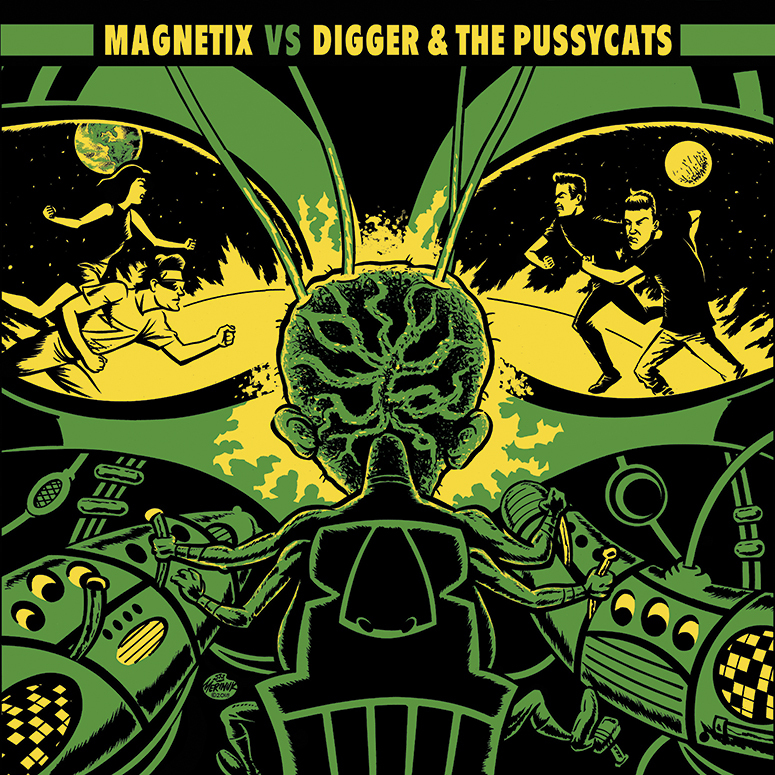 Long time between posts but here's some pretty hip news: TWO new Merinuk 7" sleeves available now! 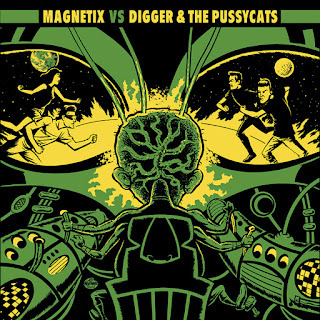 First up is a 4-song split EP by a coupla stripped-down 2 piece combos: Magnetix from France and Digger & the Pussycats from Australia in a future-primitive battle of the bands! 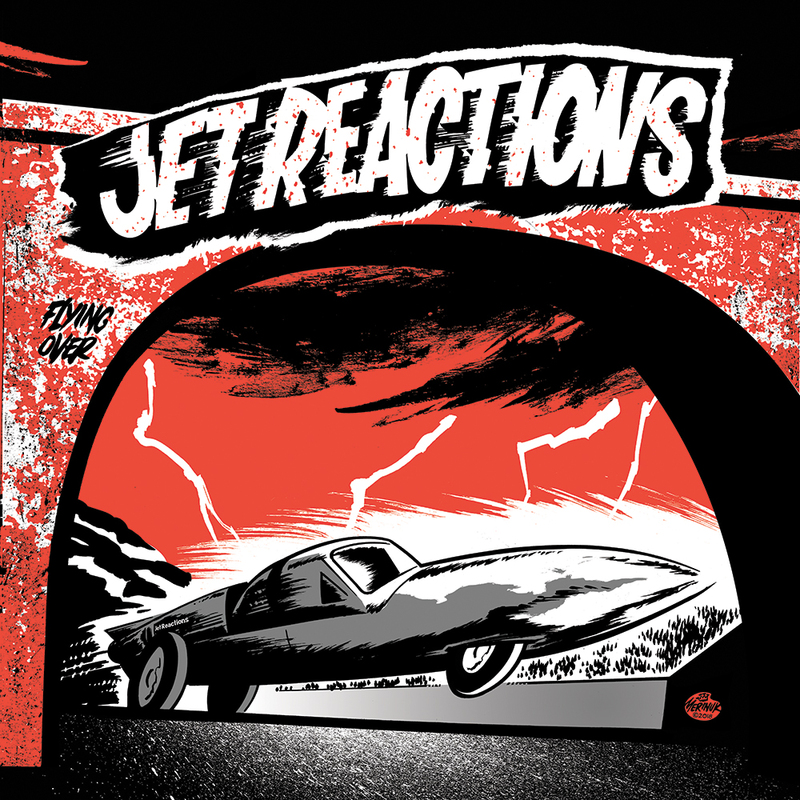 Next in line is the debut release by new French punk combo the Jet Reactions, featuring ex-members of Flying Over. 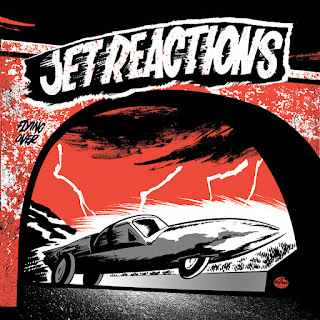 These records are so nutty that it took 6 labels to put them out; I'm not gonna type out all the names so just buy 'em if you wanna know that little detail. For all the info check out this link. Stay tuned for MORE FRANCOPHILE ACTION!